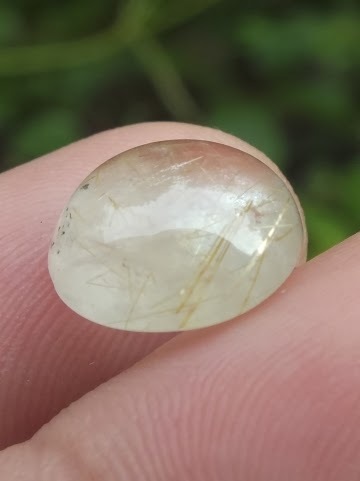 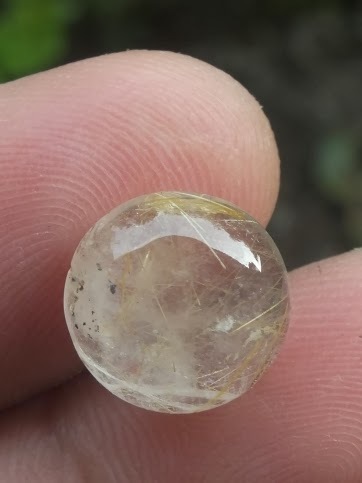 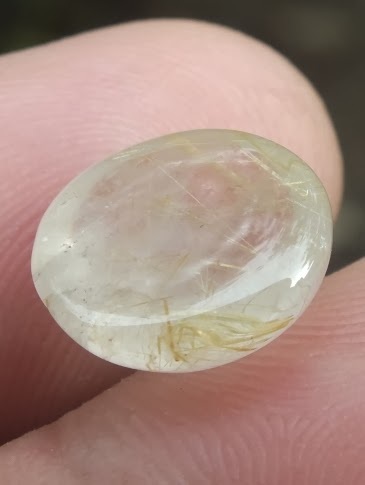 This is a very nice round cabochon cut Natural Rutilated Quartz. 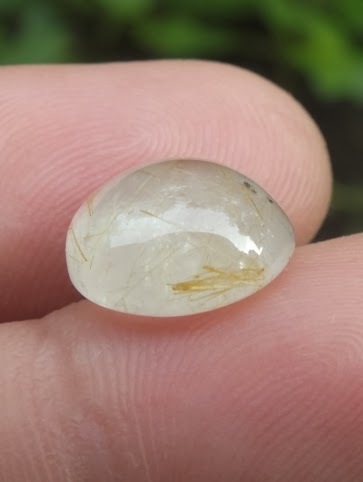 The color of the rutile inclusions are golden yellow. The size of the gems is 12mm x 12mm x 5,3mm. Get this beautiful gemstone now! 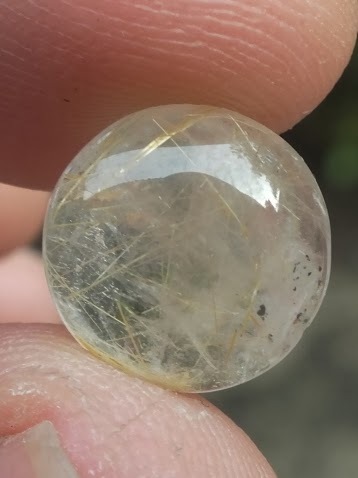 Natural Rutilated Quartz!